In the Web development world, we often have the problem of choosing the right server to use in the production environment of a Web application. Maybe we need to buy a new server to handle the expected load, or maybe the customer wants to deploy in an existing server. In any case, if after deploying and running the application it will show poor performance, then we need to ask the team what we can do to make the application faster or use a better server. Therefore we need to determine if the application is performing well. 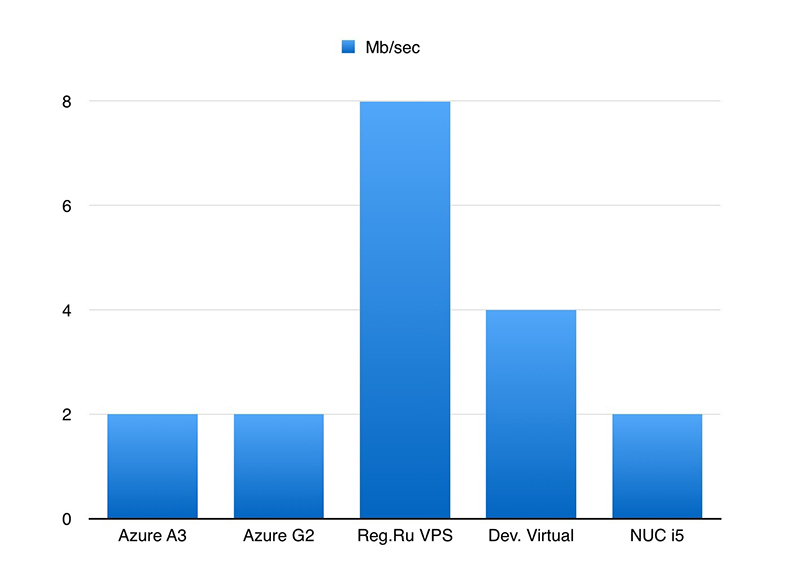 Read this article to learn how to quickly determine the performance of an application on the current server. How to Measure the Performance of a PostgreSQL server? What About the Performance of PHP? Every developer wants to launch their Web applications and be ready to deal with eventual large amounts of traffic when it is successful. The main challenge of server performance evaluation is that it needs to be done quickly, without the use of special (read complicated) tools and, of course, before the announcement of the application launch. For this, we should be able to retrieve from the server some metrics and multiply the values by performance factors of well known applications, to estimate performance of the application on that server. In reality, accomplishing this task, is by no means for every developer, and it is also not everyone that wants to do it. In this article I want to talk about the techniques and tools that I use to evaluate the performance of a server. The team starts preparing to launch the application and will soon release the first version of the product. The next step is to deploy the application on server that we may need to buy and customize an existing one. On the general project meeting, the project manager in charge asks this "simple" question: "So, who will choosing the hosting and server? I will provide the necessary amount of money of the project budget in the next step." Usually, wishing this is not a big problem. Furthermore, trying to delegate, "Bob, can you please do this task?" does not work. Bob instantly finds and lists at least a dozen urgent and important tasks that right now he is on it and delivery is needed for yesterday. Following the common sense of self-preservation, the team consistently tells the Project Manager, where he needs to look for such a specialist (not in the closer neighborhood), and he will choose exactly the ideal server configuration. According to the initial requirements for the server provided by the customer, it looks like a perfect situation at the start of the project, but it is not like that when it comes the launch of the project. The customer asks "Is the server powerful?" The expected answer should be: "Yes!". After deploying, the project leader becomes sad when he looks at Web application response times. An unpleasant thought comes up, "Who is to blame?" and "What should I do?". He realizes that the server configuration needed to be picked by himself, but on the other hand, a specialist has not been found in the region. In fact it turns out that this powerful server, a cheap VPS whose parameters looked good, shares the host resources with an army of hosting customers. The client paid the server for five years and is not going to change anything. The server settings are satisfactory, but after deploying the application we see terrible brakes, lags and delays. 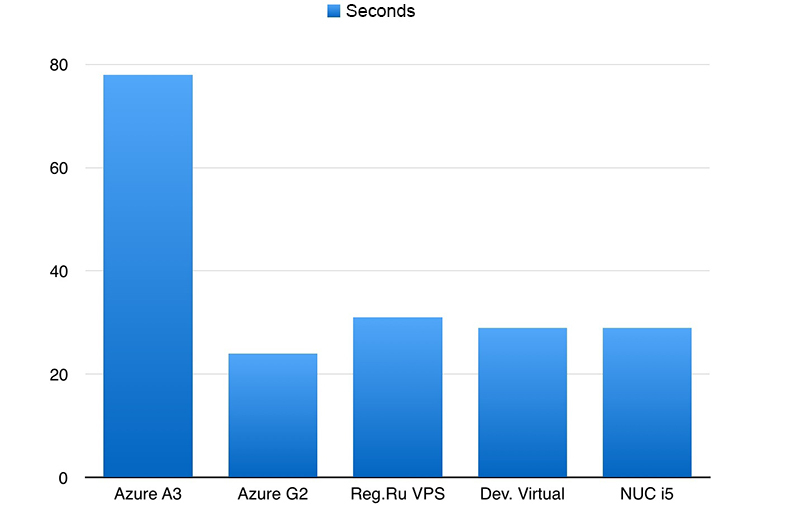 Our development server is three times slower, but the application could be running eight times faster on a new server. None of our proposals for the replacement or purchase of a new server is accepted since in the opinion of the administrator, it will brakes "your" application. The client does not know who to believe. He also does not like the idea of having a new expense, so the administrator argument counts more. The project manager requires that the team provides a clear explanation of "why the application slows down" and evidence numbers showing the server's "guilt". The team, as always, is full of free time, so all are happy to take up the solution of the problem and give a beer to the specialist from another department for the tip about "where to dig." Be able to answer the question "Why is it so slow?" The server is purchased, the operating system is installed, and sshd daemon is running. Open the console and enter in the server. Black console, green letters and a flashing mute cursor is asking you: "What's next?" It's time to think about what will be measured and what constitutes performance. Up to this point the question seemed simple: "To start any benchmark, and everything will be clear." Now, with a blinking cursor console, the thought came to a standstill and you are not able to enter the necessary commands. Having the results of the measurements, we can talk about a complex server performance as a whole, and can predict the load of Web applications. SysBench is a modular, cross-platform and multi-threaded benchmark tool for evaluating OS parameters that are important for a system running a database under intensive load. This is what you need. Sysbench allows you to quickly get an idea of the performance of the system without having to install complex benchmarks and tools. To do this, we need to run a calculation of twenty thousand primes. By default the calculation will be performed in a single core. We use --num-threads = N key if we want to take advantage of parallel computing. The interesting thing about this test is the value of total time Launching the test on multiple servers, we can compare the measures. Here is an example of this test run on servers that were under my hand at the time of preparation of this article. The team will create a set of files with a total size of 70 gigabytes. The size should significantly exceed the amount of RAM to the test result does not affect the operating system cache. The test will be done in random read mode (rndw) for 300 seconds, after which the results will be shown. Again, the default test will be executed in a single thread (number of threads: 1). As a measure of performance of the disk subsystem, you can use the value of average data rate (in this example 21.659Mb / sec). The test checks the speed of the MySQL server transactions, each transaction consists of both read requests and write. It is very convenient to change the server settings in the my.cnf, restart it and drive out a series of tests - immediately clear how the performance. The parameter --oltp-read-only can be set to on. Then only will be executed read requests, allowing the database to estimate the speed mode, for example, slave-base. The most interesting option in the report is the number of transactions per second (transactions per sec). How to measure the performance of PostgreSQL? Unfortunately, sysbench tool has built-in tools for PostgreSQL testing. But this does not stop us entirely, because you can use the utility pgbench. The Keys command means that the client will perform 4 5000 4 transactions per thread. As a result, 20,000 transactions will be executed. The most important thing here: it's tps. Comparative tests on different servers, unfortunately, no. With sysbench and plenty of kilowatts of power to the CPU of many servers, we have learned very quickly and adequately how to assess the performance of the server. Consequently it allowed us to provide an expert forecast of the performance of Web applications on that server. However, there are situations when sysbench showed a good result, and the PHP application on the server demonstrates quite mediocre performance metrics. I would love to have a tool that would be easy to install and after you start gave clear performance metrics of the current PHP on the server. And like that this tool does not affect the performance of the disk subsystem (or network), measure only the work of the PHP interpreter on a bunch of CPU and memory. I have found a script that can be used for that. The script is compiled as phar file, which significantly make it easy to download and run on any server. The lowest version of PHP to run is 5.4. The script allows you to not only assess the overall performance of PHP on the server (total time), but also to see what is slower. Repeatedly I saw mediocre overall result came just for one test: somewhere it can be a slow operation of the random number generator, and in some cases work with long strings. I would like to add that the above tools allow us to estimate the server performance only at the time of measurement. It should be understood that the server can affect processes running in parallel. And if your tests shown good results, it does not mean that it will always be like that. In particular, this problem manifests itself when you analyze the client's server, which is already in full operation. You do not know what the cron tasks do, which processes are waiting for their task processing events, if they run long gzip/tar archive processing taks, if they are working with antivirus or spam filters, and many other types of tasks that could be unknown to you. To analyze the server behavior atop and iostat can helps. If we process the statistics for a few days (or longer), and you can view almost everything going on. And, of course, you can use Munin or similar programs to collect statistics from a server for a long time. If you liked this article, share it with your colleague developers. If you have questions about performance evaluating and tuning, post a comment here.